Marketing has always been the fulcrum of every business. While the traditional man-to-man approach has really changed with the advancement in science and technology, the synergy of different approaches would always win. We’ve seen people using wristbands and rubber wristbands, however, silicone wristband do not have health-risk potentials like rubber ones because it’s made without latex material. How can we now use it except for fashion? 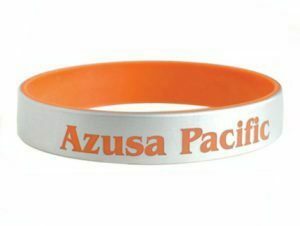 Customized silicone wristbands are used by both profit and nonprofit organizations to get the ‘words’ out, advertise new products and services, promote their brands and get their business theme in the minds of many. This is almost-cost-free approach of making people becoming your brand ambassador. Yeah! you got it now or probably you’ve been thinking similar stuff. For example, SleekWristBands can offer you cheap silicone wristbands with free shipping to anywhere and with attractive discounts. What you need do is to contact them for custom bracelets and get your silicone wristbands personalized according to your preferences. On their site, you can customize the bracelet choosing the style, size, type, colors, thickness and others. Unlike some other brands where you’re limited to a minimum number if you’re ordering for a customized or/and bulk bracelets, Sleek Wrist Bands has no minimum order quantity and you’re assured of quick delivery. If you would like a fast order, probably it’s meant for an event or sports, you can get fast delivery with few bucks. Select whether you want your “marketing texts” to be embossed or/and printed on the wristbands to make people read it at a close range, debossed and get it filled so that the texts can last forever or you go for the dual layer and color coated silicone wristbands. 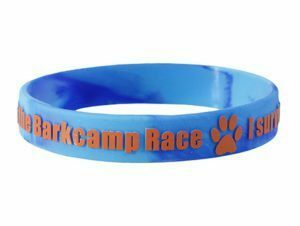 Choose whether you want plain/blank wristbands, child size or adult size with different sizes to choose from, the color; whether blue, green, red, purple etc and the style (Solid, Segmented, Swirl or Glow). For wristbands with a message, select where you want the texts to be written (inside messsge, front or back) and whether you want the wristbands to be in one pack or individual band in a pack. If you want to resell it for example, you can discuss your bracelet business plan with SleekWristBand and they’ll help you so you can start selling wristbands for fundraising or just selling online or at schools. The best way to sell online may be to buy it in wholesale and sell on etsy or other online stores. how much you charge for bracelets for example depends on how cheap you get it in bulk from the company and that’s more reason for you to not just go for a rubber wristbands maker near you or follow biased reviews online. Here, Quality silicone material is not sacrificed for cheap price and refund is also guaranteed if they breach your negotiations. Not every company can guarantee this and you’re given 100% customization to your liking. You can even add your brand logo, symbol or any other arts. If you’re still thinking of a simple marketing approach, lead generation technique and how to go about the process, using wristbands for marketing is cost effective for your company and you’ll surely generate lead unlike other strategies that may require huge funding. 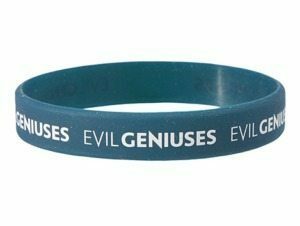 For sure, this could be very good marketing strategy if you target the right people and get a way of making them to use the wristbands, probably engraving their name on it and making it personalized so they also get associated with you. It gives sense of ownership doing it this way. Awesome post. Thank your for sharing this nice article. I agree with you on most of your point but is there any data to show for the success in using wristbands for marketing and generating leads. Never thought of the marketing ideas despite seeing brands giving them to their loyal clients. Love reading this, especially the selling and marketing aspect of it. If after using it and it gets dirty like I see it with other people, how can we clean a white silicone watch band. Hello guys, how do you make your silicone bracelet bigger, any trick to stretch it and make it permanently bigger as someone suggest boiling but I’m still not sure. Business is about creativity and I can’t agree less with using bracelets to get new ambassadors in disguise. I also wristband producing company, would like to review? I’m sending email soon.